We are proudly working together with key service providers in the UK to enable those who operate in the lowest paid service sectors to play a role in the Living Wage. For many sectors, implementing the Living Wage relies on responsible procurement. The Living Wage has been successful thanks to the constructive involvement of both our accredited network and our partners in the contracted service provider industry. The providers we work with have seen the benefits the Living Wage can bring and would like to see the Living Wage in more of their customer contracts. We understand that it is not always possible for providers who operate in low pay industries to implement the Living Wage for all the contracts they deliver. However service providers can communicate to clients that the Living Wage is always an option. 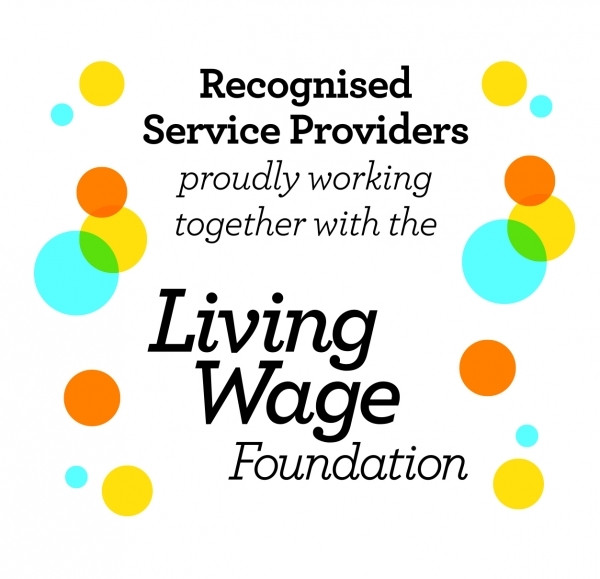 To recognise contractors who support the aims of the Living Wage Foundation and to further best practice in the industry we have launched a Service Provider Recognition scheme. Recognised Service Providers have committed to pay all their own head office staff the Living Wage as per the Living Wage Employer agreement. They have also committed to always offer a Living Wage bid alongside every market rate submittal to all prospective and current clients. This means the client always has the choice to implement the Living Wage at the point of tender and there is a pathway towards the Living Wage for the provider in place. Initiate a framework internally to promote and measure the impact of the Living Wage internally, with support from the Living Wage Foundation. Become part of a strategic community of Service Providers that support and promote the Living Wage, contributing to ending low pay in the UK’s lowest paid service sectors. Are entitled to use the Living Wage Foundation’s Recognised Service Provider mark. Appear on our website so that our network and customers that you work with can easily find out about the commitment you have made. Have the opportunity to work with us on case studies and press coverage to promote your Living Wage commitment. Are kept up to date on the Living Wage campaign and opportunities to celebrate your status.